What is Leveling? | Important Terms in Leveling and Surveying. In this article, You are going to learn about Leveling, Important terms in Leveling and Surveying. What is Leveling in Surveying? Definition of Important Terms in Surveying and Leveling. A leveling instrument called “Level” and “Staff” is employed for this purpose along with other equipments which are explained in this article in details. So don’t miss any information and read it all. This is a surface which is normal to the direction of gravity at all points as indicated by a plumb line. The surface of a still lake may be taken as an example of a level surface. As the earth is an oblique spheroid, a level surface will not be plane but will be a cursed one. Every point on a level surface is equidistant from the center of the earth. A line lying throughout on a level surface is a level line. This is normal to the plumb line at all points. A horizontal plane through a point is a plane tangential to the level surface at the point. This is normal to the direction of gravity at that point. A vertical plane is any plane containing a vertical line. A vertical line at any point is a line normal to the level surface at that point. A plumb line is an example of a vertical line. This is an arbitrary surface with reference to which the elevations of points are measured and compared. Elevation of a point is the vertical distance above or below the datum. This is usually called the reduced level (R.L) of the point. This may be positive or negative accordingly as the point is above or below the datum. The line of collimation or the line of sight is the line joining the intersection of cross-hairs to the optical center of the object glass and its continuation. The axis of a telescope is the line joining the optical center of the object glass to the center of the eye piece. The axis of bubble tube or level tube is the line tangential to the longitudinal curve of bubble tube at its middle point. The vertical axis is the line about which the telescope can be rotated in a horizontal plane. A back sight (B.S) is the first staff reading taken after setting up the instrument in any position. This will always be a reading on the point of known elevation. A fore sight (F.S) is the last staff reading taken before moving the instrument. This will always be reading on a point whose elevation is to be determined. This reading indicates the shifting of the instrument. An intermediate sight (I.S) is any staff reading taken on the point of unknown elevation after the back sight and before the fore sight. This is necessary when more than two staff readings are taken from the same position of the instrument. A change point (C.P) indicates the shifting of the instrument. Both back sight and fore sight are taken on a change point. The height of instrument (H.I) is the elevation of the plane of collimation when the instrument is leveled (and not the height of the center of the telescope above the ground level). A station point is a point whose elevation is to be determined or a point which is to be established at a known elevation. Therefore, this is the point on which the staff is held and not the point on which the instrument is set up. Read Also: Theodolite Parts and Functions [A Detailed Guide]. A benchmark (B.M) is a fixed point of reference of known elevation. The reduced level of the benchmark is used to determine the reduced levels of other points. The G.T.S benchmarks are those established by the Survey Departments of a country. These have been established at intervals all over the country with very high precision with reference to the main sea level as the datum. Their elevations and reduced levels are shown on GTS maps. As the intervals of the G.T.S benchmark is large, to facilitate the survey works, government agencies such as the P.W.D (Public Work Departments), etc. have established benchmarks between these G.T.S benchmarks at closer intervals. 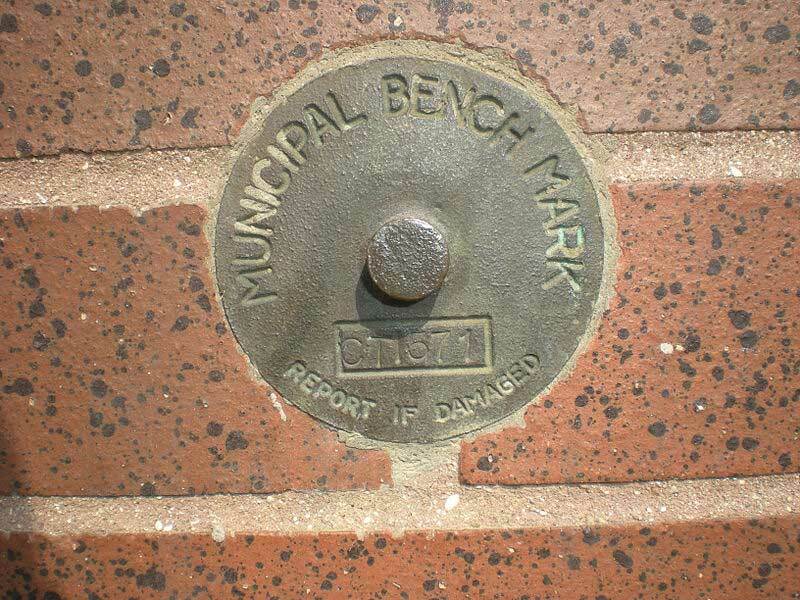 The benchmark in the below picture is known as “Permanent benchmarks.” These are marked on well-defined and permanent points such as milestones, corners of plinths of buildings, top of parapets of bridges, etc. Temporary benchmarks are the reference points Which are established when there is a break in the work. 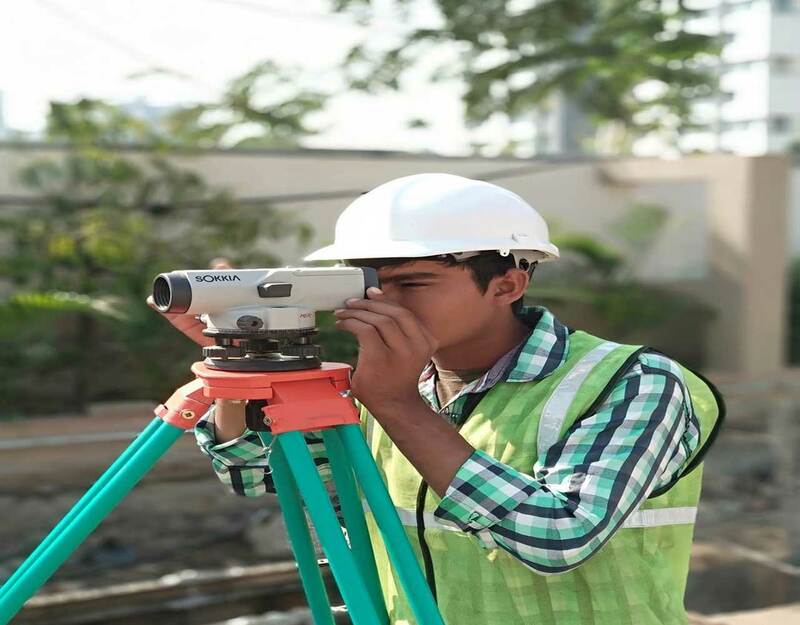 This becomes necessary when the whole surveying and leveling work cannot be completed at a stretch. The survey work is closed on a permanent point which can be easily located when the work is again resumed and started from the same point. Plane Table Surveying | Its Methods, Advantages & Disadvantages, etc.